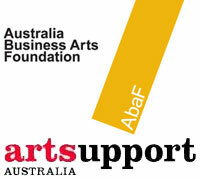 Further to the not so recent news that AbaF and artsupport are to merge next year into one body, and that Louise Walsh of artsupport will soon be the new CEO of Philanthropy Australia, the Australian Financial Review yesterday noted that some artsupport staff will also be joining Philanthropy Australia. What does this mean for the new body for private sector support for the arts if the artsupport expertise has been removed from the equation – and even more puzzling, what impact does this have on Philanthropy Australia? Will it have a stronger arts focus or a a stronger Private Ancillary Fund focus? (as that is where the skills and energy of artsupport have been directed – brokering support for the arts mainly from Private Ancillary Funds) and does it reflect a change in strategy for Philanthropy Australia towards a greater emphasis on Private Ancillary Funds? Here’s Philanthropy Australia’s strategic plan released earlier this year. I note the point that Philanthropy Australia faces unmet needs by parts of the community who are donors who do not belong to the organisation as members: “Some of those segments with ‘unmet needs’ are easy to identify: – corporate foundations; aspiring philanthropists (i.e. those who are giving in the tens of thousands as individuals but do not yet have a formal structure); fledgling and start-up foundations, including PAFs; trustee companies; professional advisors; researchers and students of philanthropy. Other segments may prove more of a challenge to identify and engage, such as diaspora giving or giving by and to specific cultural or religious groups“. I also note the High Net Worth study Philanthropy Australia undertook for the Commonwealth Department of Families, Housing, Community Services and Indigenous Affairs released in February 2011 (and which is referred to in the strategic plan). Is Philanthropy Australia moving towards being a peak body for high net worth givers only, even though their second goal as stated in the strategic plan is to Encourage all Australians to increase their giving and philanthropy? A further question that could be asked is also about how an incoming CEO can bring staff with them. Shouldn’t any new roles be advertised openly in a fair and judicious process? If members of Philanthropy Australia aim to make grantmaking transparent and based on merit, shouldn’t we be expecting our peak body to also behave in this manner, reflecting the ethos of a just and fair society that so many philanthropic organisations strive to achieve through their work? Just asking . . . . not to mention the staff already in place – how will this all work even with the addition of offices in Adelaide and Brisbane (as announced at the recent Philanthropy Australia conference). Interesting times ahead as we see how new leadership and staff drive the direction of Philanthropy Australia. my bias – organisational member of Philanthropy Australia through Inner North Community Foundation, former employee of AbaF, and colleague of both incoming and current staff at Philanthropy Australia. NB views are my own and do not necessarily represent those of my employer. This entry was posted in philanthropy and tagged Artsupport, debate, ethics, Louise Walsh, PAFs, Philanthropy Australia, Philanthropy Australia strategy, transparency. Bookmark the permalink. 2 Responses to Changes afoot at peak body? I just hope that Community Foundations don’t get lost in all these changes at Philanthropy Australia as philanthropy is not just for High Net Wealth individuals and families. Local giving for local communities is important and should be supported as community foundations are perpetual resources for communities. Thanks Sharon for your insights. Here is a letter from the President of Philanthropy Australia – sent to members at the end of last week on this issue: NB it still doesn’t actually address the issue of transparency and open process in the appointments made. On behalf of the Council, I am pleased to announce that following the appointment of Louise Walsh as CEO, Philanthropy Australia has secured very significant additional funding and underwriting to create four new roles. These appointments are part of a plan to increase the organisation’s effectiveness and resources in line with objectives in the 2012-14 Strategic Plan. Key strategies of the Plan include strengthening Philanthropy Australia’s national footprint and rapidly broadening and deepening the financial base. Making it happen was always going to be challenging. New revenues require new capacity and new capacity needs new sources of revenue. Revenues have remained flat in nominal terms and have declined in real terms in recent years, excluding conferences, making it impossible to put Philanthropy Australia on a growth trajectory. Therefore, in developing the current Strategic Plan, Council considered shrinking Philanthropy Australia back to representation and some affinity group activity but ultimately decided in favour of growth. The staff of Philanthropy Australia has worked hard to get the organisation to the point where significant growth is now possible. Working with limited resources, the staff has increased the services offered to members and strengthened work on policy. Membership over the past five years has risen from 245 to 450 and Philanthropy Australia has grown in reputation and influence. The dedication and commitment of our staff have been significant in delivering these outcomes, and are very much appreciated. The appointment of Louise Walsh as CEO presented Philanthropy Australia with a unique opportunity to build resources and immediately grow the organisation. This was a transformative opportunity, which demanded quick action, Council debated at length, and then acted decisively. The immediate new funding for four additional positions would not have been possible without Louise’s capacity to identify highly regarded staff and match them with significant new funding to accelerate implementation of the Strategic Plan and its key goals. Anna Draffin will join the team in Melbourne and Katy Tyrell in Sydney. Fiona Maxwell based in Brisbane, will expand the organisation’s presence in Queensland and Alison Beare based in Adelaide, will establish a presence for Philanthropy Australia in South Australia. These staff will provide new organisational flexibility, which is something that Philanthropy Australia has lacked, experience in growing philanthropy and specialist skills and with these will come new capacity to lead, grow and strengthen the sector in all its diversity, embracing traditional segments and new, and as outlined in the Strategic Plan. Louise Walsh will take up her new role as CEO on Monday 8th October, 2012 and will then begin a process of implementing the Strategic Plan including undertaking a review of existing resources and identifying what is further required to take the organisation forward, including for example in areas such as information technology. Meeting with you, our Members who are the lifeblood of the organisation, to communicate this strategy and to hear first-hand about the challenges and opportunities that you see and how Philanthropy Australia could support the sector better will be an immediate priority for Louise. The recent staff appointments are a major step towards implementation of the Strategic Plan. Council is excited by these developments which will enable Philanthropy Australia to grow and provide better services to its increasingly diverse Membership and to transform its contribution to the philanthropic sector and the Australian community. I understand from discussions with a number of Foundations in recent days that a number of rumours have been circulating about these appointments and that poor communication has contributed to a sense of lack of due process, which was clearly not intended and for which I apologise. It is also clear that decisions last December to change the way that Philanthropy Australia supports community foundations and which were communicated to Members at the recent Community Foundation Forum have caused some concerns. Fostering grass roots philanthropy through community foundations remains a key strategic goal. We therefore very much look forward to working with all Members. If you have any questions, do not hesitate to get in touch with me and, of course, Louise will be keen to hear from you when she joins in 10 days’ time.